As warmer temperatures approach, they’re accompanied by peak construction season across Canada. Spring and summer are among the busiest times of year for construction contractors as they take advantage of the favourable weather and daylight that lends to greater productivity outdoors, enabling them to complete more jobs and make more progress on projects. 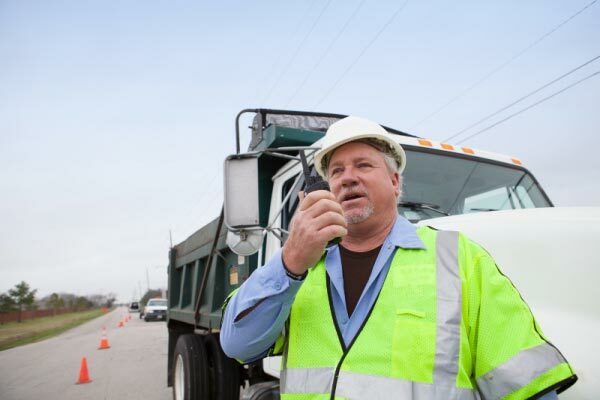 Two way radios or walkie talkies are a critical component of construction projects, enabling instant, seamless communication that enhances efficiency and ensures worker safety on the job site.When it comes to contracting for construction, it’s typical to scale up or down depending on the size and specifications of the project – which means your two way radio needs may vary yearly, monthly or even weekly. Nova Communications offers two way radio rentals that make it convenient and affordable to provide workers with the equipment they need for as long as they need it, without incurring the cost of purchasing the devices outright. Nova Communications has worked extensively with construction contractors Canada, providing them with trusted Motorola MotoTRBO two way radios that enhance safety. Talk to a two way radio expert today, toll free: 1-877-721-7070 or try the FREE Online Radio Calculator below.